On April 28 each year, the Islamic Republic of Afghanistan celebrates Mujahideen Victory Day. 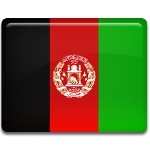 It is a public holiday that commemorates the overthrow of the pro-Soviet Democratic Republic of Afghanistan in 1992. In 1978, Prime Minister of Afghanistan Mohammed Daoud Khan was assassinated during the Saur Revolution. The communist People's Democratic Party of Afghanistan seized power and established the Democratic Republic of Afghanistan (DRA). Afghan opposition groups started a rebellion against the new government. At the government's request, the USSR brought troops into the country, starting the Soviet War in Afghanistan. The war was fought between Soviet and DRA forces against the mujahideen, Islamic insurgent groups. The word “mujahideen” means “those who are engaged in Jihad”. On April 28, 1992, exactly 14 years after the Saur Revolution, the mujahideen ousted President Mohammad Najibullah. One of their leaders Sibghatullah Mojaddedi became the new president. Mujahideen Victory Day is primarily celebrated by former mujahideen and by the Islamic population of Afghanistan. Some citizens are opposed to the holiday because it marks the start of the civil war. In 2012, the government had to cancel festivities due to threats by Taliban insurgents.